All of our promotional apparel can be outfitted with your logo. In addition to that, we have amazingly low prices on regular and Eco friendly Hoodies, Polo’s and sweatshirts. All of our products are made from high quality materials and are very affordable. Our goal is to provide you with high quality items but at the same time keep you within budget. 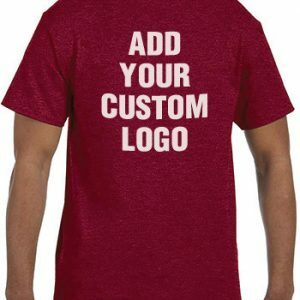 Combine any one of our tee shirts with one of our non woven bags, and you will immediately have yourself a unique promotional campaign. All of our apparel can be customized and screen printed to show off your unique message. Custom Green promos can provide you with great merchandise at a great price. Call or request a free quote today for pricing. Our staff is very friendly and also experienced too. Furthermore, they are going to make you a priority. You can also be confident that the final product will be perfect. This is because our production department is the best in the business.